The unique Ahoy Club platform will allow charterers to book a yacht in minutes, rather than days or even weeks, by replacing the current, outdated manual process with pioneering digital technology. It will lower the cost of chartering by around 20%, making it accessible to a wider market and generating more revenue for superyacht owners. After three years of development, the Ahoy Club team, comprised of experts in yacht ownership, management and chartering, has combined the efficiencies of automation technology with bespoke levels of service in a single platform. The business is launching in London and Sydney and will extend into key yachting hubs around the world. Booking a charter yacht will become a simple three-step process. 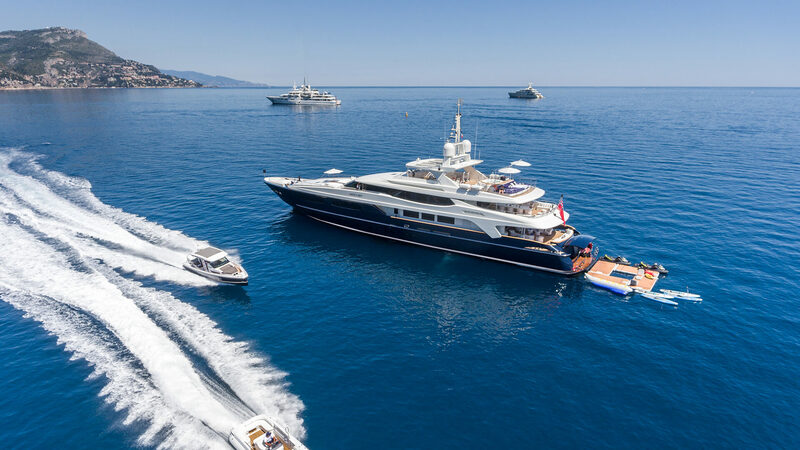 Once a yacht has been selected and requested by the charter guest on the app, an owner’s acceptance automatically generates a transparent and independently recognised digital contract – and a 25% deposit is immediately accepted via credit card instead of the current 50% deposit required by bank transfer. The time saved in this process alone can amount to weeks, revolutionising the industry for guests and owners alike. The Ahoy Club’s expert personal concierge team is available 24/7 to support clients in their choices, selections and itinerary suggestions, just as they would be with any existing retail charter broker. Currently, the charter season is limited to peak periods in July and August, principally because the process is so slow and inefficient. Ahoy’s automation allows yacht owners to set prices instantly for specific periods, which will lengthen the charter season. A yacht owner will be able to set prices all year round – even by the day at the most popular times, such as the Cannes Film Festival and the Monaco Grand Prix – or to make special offers in off-peak periods, keeping the yacht available for charter rather than laying it up for the last few weeks of a season. Charter guests will be given more options throughout the year, driving further interest in the market and making superyachting a more approachable and easier lifestyle choice without losing its exclusivity. By implementing scalable technology and automation, Ahoy Club is able to reduce standard industry fees dramatically. Superyacht charters can range between €100,000 to more than €1m so this represents a significant saving. Ahoy Club’s platform includes unique features for owners, including YOTSWAP, which allows them to exchange their yachts – for example, a owner with a yacht in the Caribbean could swap with an owner whose yacht is in the Mediterranean, saving substantial fuel costs. The Empty Voyage feature allows an owner to offer a shorter and more affordable charter between the port where a guest has disembarked and a second port where the next guest is due to embark. For example, a short cruise between one charter ending in Sardinia and another starting in Cannes would be made available at a significantly discounted price. Ahoy Club founder Ian Malouf, is owner of the superyacht Mischief and has more than 20 years of experience in the industry as both an owner and a guest. “The chartering process is much harder and more expensive than it needs to be. I want to make the experience quicker, more informative and more fun. Ahoy Club will allow you to book a yacht in less than three minutes and save money. We are delivering more choice, more value and more freedom for less”.